Arkana from Arkansas. "My name is Igor Romanov. I am responsible for the international promotion of Arkana Physical Research company. We're a young American company established by a Russian physicist and American enthusiasts of hi-end audio. Our activity is creating premium-class audio cables. We offer a full range of RCA/XLR interconnects, speaker cables and power cords. All are divided into 3 categories: good, better and best. 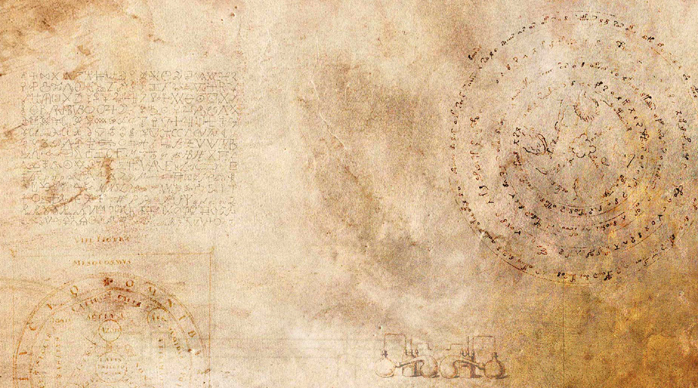 Having appropriate theoretical knowledge and experience, we created absolutely unique technologies never before used for the transmission of music signal. Our special know-how are conductors of different rare-earth metals in different combinations. Based on data obtained over the course of our own R&D spanning several years, we found that a certain combination of rare-earth metal conductors and their special properties minimize the negative impact on the phase/frequency response of transmitted signal. Thus our cables provide much more accurate signal transmission than traditional metals like copper, silver and their alloys. For now we are in the process of getting a US patent on our technology. During our development we paid special attention to the quality and sonic features of connectors to end up with only the best from Acoustic Revive, WBT and Oyaide. Every Arkana cable is carefully handcrafted by our experienced staff." "For now we aren't ready to disclose the names of our metals until the patent is granted. I can tell you that they are all the well-known ones but have never been used as audio signal conductors before. There are five metals combined with mutual properties. Our know-how is their unique combinations depending on the type of cable and its price range. We have a long story of comparisons and here is a short list of the most important ones: Nordost Odin Supreme Reference, Valhalla Reference, Tyr Analog and Frey 2; Acrolink Mexcel, Premium and Special; Kondo KSL-LPz, KSL-VzII and KSL-SPz; Argento Flow Master Reference; Siltech Emperor Crown and Ruby Hill II; Crystal Cable Absolute Dream; NBS Black Label II +; Cardas Clear and Clear Beyond; Aural Symphonics Prince and Magic Gem v2; Black Rhodium Polar Cantata; Stealth Dream v10, Metacarbon and Indra; Elrod Statement Silver and Gold; Kubala-Sosna Elation and Emotion. Our evaluation systems included Mark Levinson 31.5, 30.5, 30.6, Gryphon Sonata Allegro and Colosseum with Focal JMLab Utopia II; dCS Vivaldi, VTL Siegfried and TL 7.5 with Verity Audio Amadis; Boulder 1021, 1010 and 1060 with Eggleston Works Andra III; simaudio Moon 650D and Moon 600i with Totem Wind; Esoteric K-03, G-01, VAC Signature MKII, Esoteric A-02 and Dynaudio Sapphire; and Electrocompaniet EMC 1UP, AN P2SE and AN-E/SPe HE. 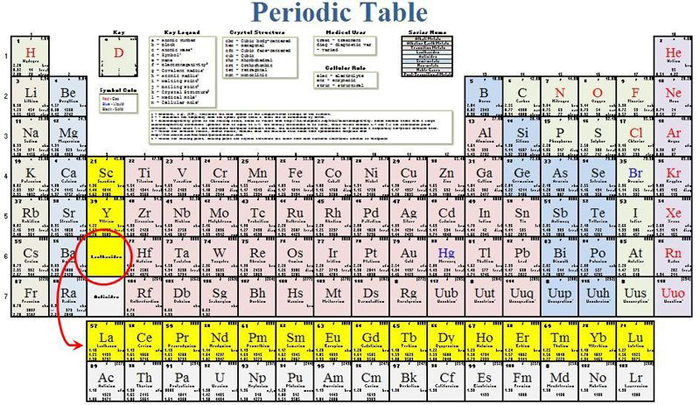 The 17 rare earth metals and their atomic numbers are Scandium 21, Lanthanum 57, Cerium 58, Praseodym 59, Neodym 60, Promethium 61, Samarium 62, Europeum 63, Yttrium 39, Gadolinium 64, Terbium 65, Dysprosium 66, Holmium 67, Erbium 68, Thulium 69, Ytterbium 70 and Lutetium 71. "All our conductors are pure metals without any further plating or cladding. On the basis of our ideas, each metal has its own sonic characteristic which clearly appears in the transmission of a music signal. Sonic differences are determined by the type of crystal lattice, number of electrons in the outer layer, atomic weight, density, capacitance, inductance and other parameters. So each chemical element has its own inherent sound. Copper will always sound like copper, silver like silver and palladium like palladium. It should be understood that any material processing might change certain details but won't affect the basics. Let's call it the natural resonances of the conductor*. Advanced metallurgical processes like deoxidation, casting monomolecular structures, cryogenic processing, changing the geometry of conductors as well as changing capacitance or inductance by compressing or separating conductors may affect the sound of the cable only within certain limits. And our conductors don't require such treatments. Their purity and better dielectric is sufficient so no additional coatings or layers are used. The designer's task is having the clear knowledge of the sonic features of his conductors and connectors to create the most neutral frequency and phase response. Naturally cables also must correspond to the level of the electronic components so Arkana cables are produced in several price ranges. Each Arkana cable has eight cores of 99.99% rare earth metals of 1mm diameter sleeved in their own Teflon insulation. The conductors are electrically cleared, their surface is polished and they are arranged in parallel, neither twisted nor braided. Until now we have released about 200 beta tester samples and our power cords meet all the NEC and LVC codes. And we're in the process of certification." * Here those familiar with Franck Tchang of Acoustic System Intl. will detect common ground. Given my 6-meter interconnects in the Villeneuve house, I asked about availability of such lengths. It turned out that about 2 meters were the limit for line-level connections. 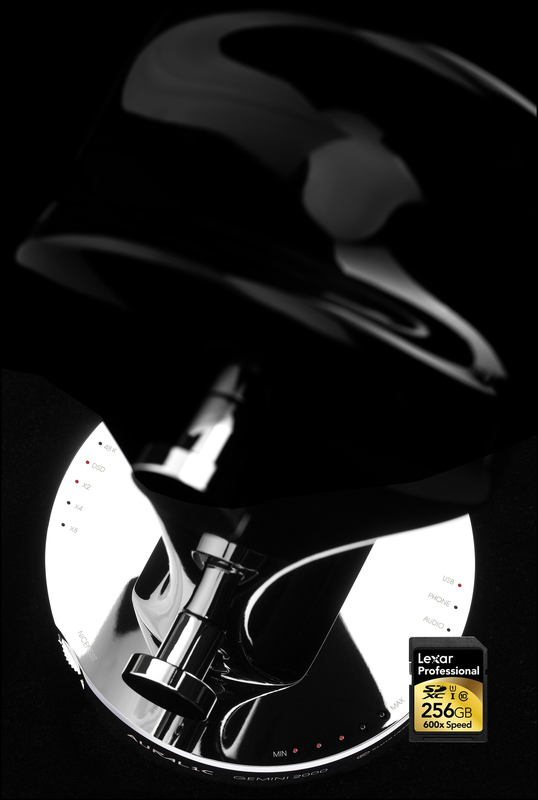 "Since we fully guarantee the superior sound quality of our product, Arkana's development team would need to first explore the entire range of related issues before we can approve the appropriateness of longer lengths and determine the necessary design features. Power cords are from 0.5 to 2.5 meters, speaker cable pairs are 1.5m, 2.0m or 2.5m. 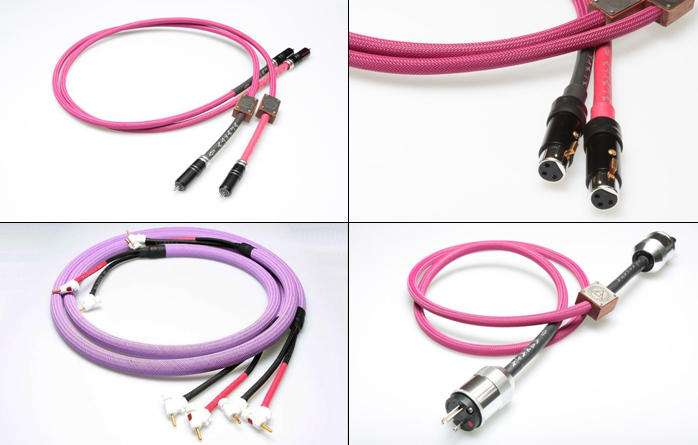 On the issue of pricing, due to the high cost of materials and connectors we acknowledge that our cables are not eligible for a low-end range. Retail prices for our most affordable Blue line start at $846 for the interconnect, $1'120 for the power cord and $1'605 for the speaker cable." Given my cable needs, I directed this assignment to our team. Glen Wagenknecht responded and Arkana Research arranged review loaners for him. Then Igor came back at me saying that they would be able to fabricate the lengths I needed after all. By then I'd moved house. Despite nearly twice the space, the new layout had shrunk my front-end-to-amp-stack distance to just 4m. This put me back in the rare-earth race without special conniptions. But Glen had already signed up. He'd thus do the main sonic commentary. I'd add a second opinion from my corner of the world for some 'more is merrier' math. Against the often serpentine ways of hifi cables and their bloated pricing without apparent material counterpart, this promised to be a rare opportunity to investigate something actually novel in the field. Of course novel per se doesn't automatically equate to better. That jury was still out. But on doing something decidedly different, Arkana Research under the helm of their Russian chief engineer had already ticked off the requisite box. And with a name like theirs, who'd blame them for going a bit tongue-in-cheek Rosecrucian or Freemason on us with their website graphics and logo? Didn't Tara Labs once make the cable God listens to? Us lesser audio templars need cables too. As long as there was real science behind it—the naturally lower skin effect, capacitive and inductive values claimed for these metals—and demonstrable benefits from it all, a bit of surrounding fluff was the stuff which necessary distinction in the market place is made of.